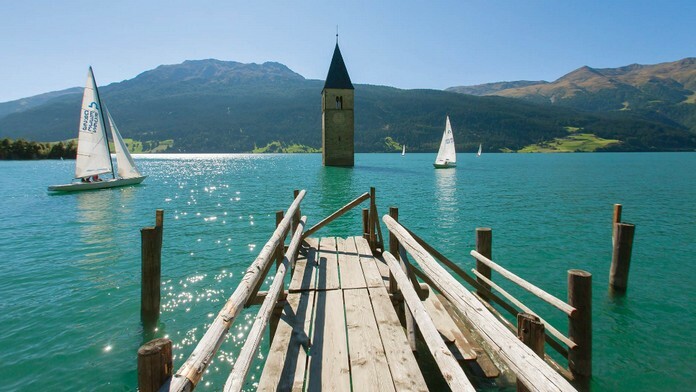 In Italy’s Lake Resia, near the borders of Austria and Switzerland, a lone bell tower shoots up from the perfect, blue-green water. It’s the only visible remnant of Graun (Curon in Italian), a town that vanished underwater more than 60 years ago. The town’s residents protested, but they were no match for a power company’s plans to join two natural lakes and create a giant artificial one. When the company finally got its way, the surrounding towns were blasted and flooded. 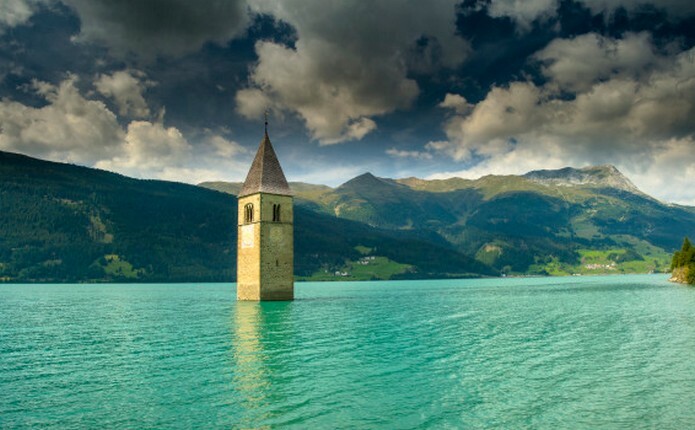 Only Graun’s bell tower was permitted to survive, as a historic site. 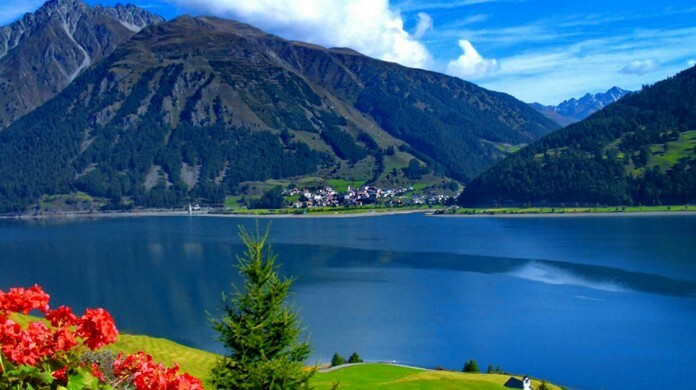 Nowadays, you can bike or hike along the beautiful mountain path surrounding the lake (also known as Reschensee or Lago di Resia). 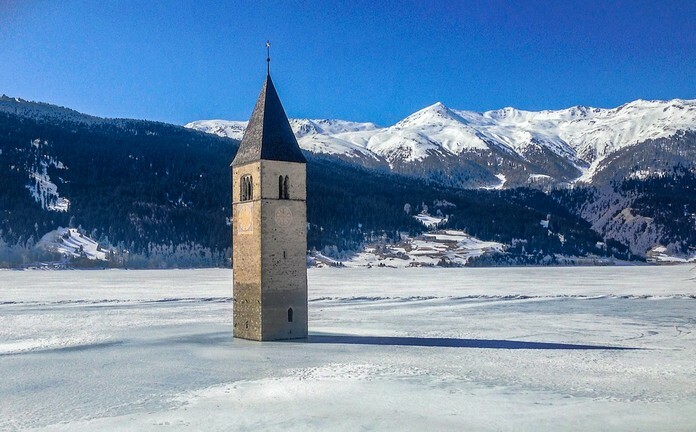 In winter, when the lake freezes, you’ll also be able to walk right out to the bell tower on frozen water. Rumor has it the church bells still ring… even though they were removed some 60 years ago. It’s spooky, yet scenic. And we’re totally planning a visit to this beautiful Italian place.